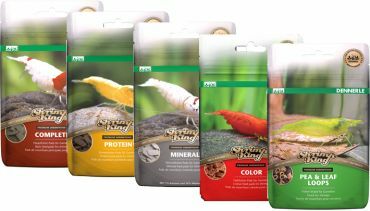 Feed your shrimp like a King! So we’ve got some rather cool looking foods in stock for shrimp. They really do look the business. Manufactured by Dennerle, these guys know what they are doing so it made complete sense for us to begin stocking them. Shrimp breeding is on the whole pretty easy stuff. Give them the right sort of water parameters (by using a substrate), some time and plenty of high quality shrimp food and before you know it, your shrimp are pregnant, holding roughly 50 babies underneath them. They are wafted with O2 all day until they are ready to be released into your aquarium. That day comes and it’s hard to see the shrimps as they are so small but what’s really sad is that the majority of these shrimp will not make it into adulthood for one simple reason – they won’t consume enough food as their immune system is not strong enough. With a low immune system, young shrimp can become very weak, very quickly and as a result perish as they don’t have enough energy to eat. This doesn’t need to be the case anymore if you introduce Genchem Polytase. This simple and effective powder is designed to be dosed once a week and by doing this it strengthens their immune system enough for the young shrimp to pull through. You’ll be amazed and how many more shrimplets you see in your aquarium in a very short period of time. 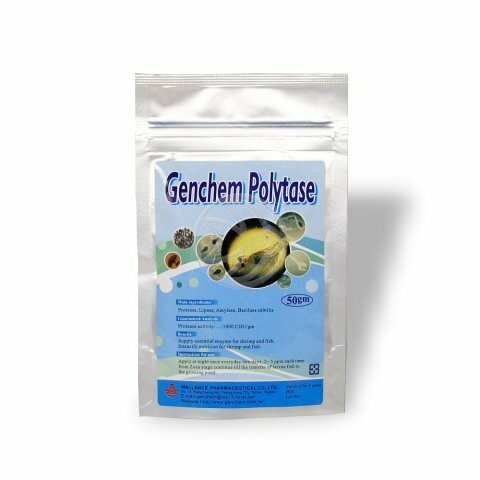 You can use Genchem Polytase with any type of shrimp which you are looking to breed. 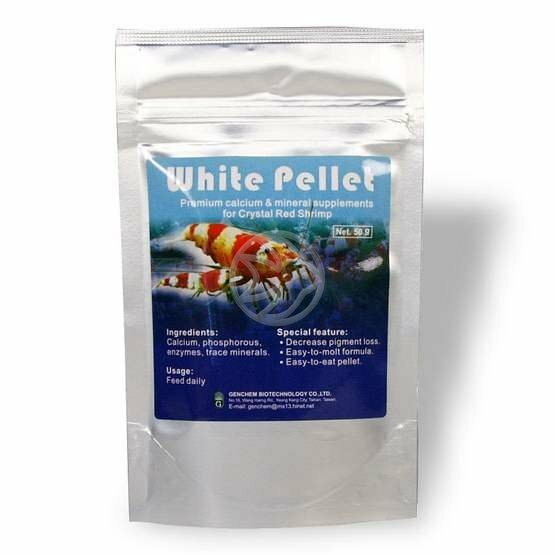 Not only that but if you ever have nitrite or ammonia in your tank this product will also help reduce it. So it really does have a 2 fold effect. For more freshwater shrimp products please click on this link.